UPDATE: This issue has been resolved. So my issues with Facebook continue unresolved but there is a twist. Back when I first signed up with Facebook, late in 2008, there was an input field for a website. Those links still appear on the sidebar, or the about section, of my profile. I tried The Master’s Table link, which is displayed, only to receive an error message about that link violating FB’s community standards. But the link to my original URL, clarkbunch.wordpress.com, still works. Why I have two blogs is a long story but the fact that I can link to one but not the other makes it that much more interesting. I have to admit that it caught me off guard. If WordPress hadn’t congratulated me I might have missed my own blogoversry (blog + anniversary). In 2014 I published Six Years at the Table. That post does a good job telling the backstory and sharing some interesting facts. At that time, we were shy of one million views. As of 3/3/2016 the two blogs together (The Master’s Table and My Other Blog) have seen 1,066,005 views and the total number of posts is 1857. Today I blog less and have diverted some time and energy into other things. I pastor a small SBC church and my sermons are posted on their website. I write once a week for our local paper and do not duplicate that same content here. Blogging has changed since our launch in 2008; there are more personal and collaborative blogs today than ever before and social media, such as Facebook and Twitter, have brought more voices into the conversation. 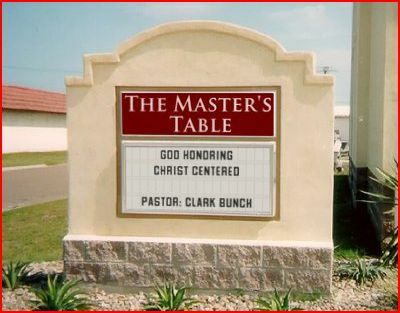 The Master’s Table gives me a larger audience than I could reach otherwise. My blog friends in Canada, Israel and Australia know what I’m talking about. I enjoy writing on several different platforms. I also enjoy the seminary classes I take with other local ministers, church staff and lay church members; I enjoy teaching Sunday School and leading prayer meetings in addition to preaching sermons. Ministry happens simultaneously at the local, regional, state, national and international level. The church has been tasked to carry the Gospel to all people and nations. The internet offers tools and resources that make the world a smaller place. But we can’t reach around the world and neglect our neighbor across the street. The goal has not changed; to be God honoring and Christ centered. Those words are posted prominently on the masthead as much for my benefit as yours. Here’s to another eight years, and the changes they will bring. Long live the blog. November is National Blog Posting Month – NaBloPoMo – when bloggers commit to posting at least once each day for 30 days. I accepted the challenge in the form of 30 Days of Thanksgiving. While I haven’t posted much on this blog lately, I am up to day #13 on My Other Blog. The most recent post is about the annual Pastor Appreciation event in Atlanta hosted by Faith Talk 970/ 104.7 The Fish. Several SBC state conventions had their annual meeting this week and I will be writing about the Georgia meeting soon. There is a My Other Blog RSS feed in the left-hand column of this page or click here to check out the latest posts. 30 Days of Thanksgiving because God is good all the time! I got some good advice early on when it comes to blog design: find something that works and leave it alone. Some people spend more time switching themes and changing colors than they do writing. Messing with the major design elements, such as theme, isn’t something I do often. You will not see any changes at The Master’s Table, but the three column theme was just no longer necessary on My Other Blog. I did a major overhaul Thursday morning and spent the day tweaking things to get the look just so. I think you will find the text easier to read if nothing else. Then last night I noticed something that had been overlooked; page view number one million slipped by sometime in recent weeks. If you’re heading over to the Other Blog anyway, check out this post on a difficult to calculate milestone. 1) We’re back from vacation. The break was welcome, but as always it is good to be back here. Expect new posts to resume as usual this week. 2) My Other Blog was fun, but I think it’s run its course. I do have something new planned, but it will take a few days. More to come. 3) I started a project on the side called Bible Survey. It’s just not going to happen. Click this link to see how it was going. 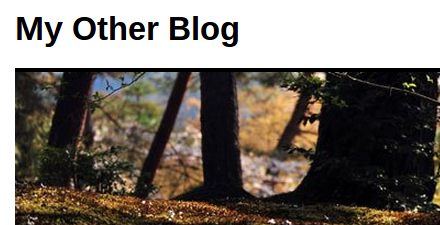 If I delete the blog everything, including the title, will be gone forever. I would rather give the URL (biblesurvey.wordpress.com) to another user. If you might be interesting let me know in the comments or send e-mail to jbunch@hotmail.com. You can pick up where I left off, or preferably wipe it clean and start from scratch. I hate to see it go to waste, but I’m ready to wash my hands of it. 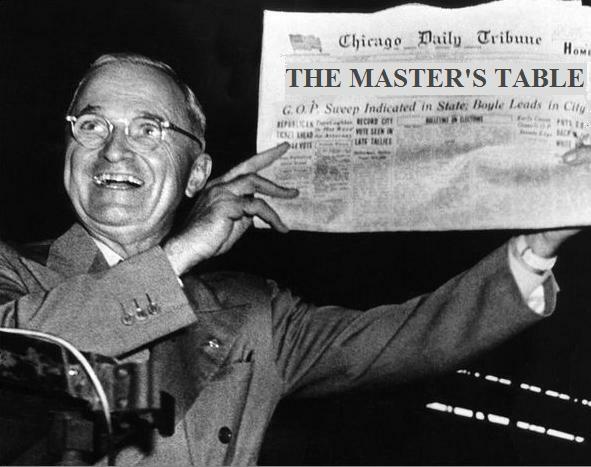 The Master’s Table turns four! 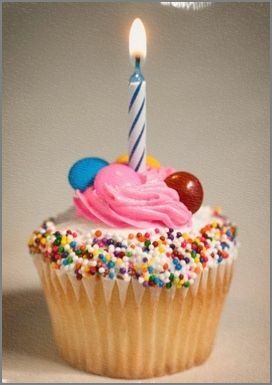 Some call it a birthday, I like to think of it as an anniversary of blogging. Blog + anniversary = blogversary. There have been some good times and bad, so as we celebrate we need to remember some people as well. I blog because of Michael Spencer. The post linked explains how and why. Before I ever read Internet Monk I worked with Michael every day in real life. 2010 was a rough year. Michael passed in April, my father Lewis Bunch lost his short battle with melanoma in June. If you read the post, make sure to follow the link there for pictures. It hasn’t all been bad news. Equal Time is about being blessed, and was written shortly after our daughter Johannah was born. The picture of our family on the About page was taken last Easter. She turned two in August. 4 years, 457 posts, 1,249 comments. Total views = 355,152. Here is the very first post, from March 4, 2008. This blog started out as Clark Bunch’s Weblog. Everything from March and April moved to The Master’s Table in May of 2008. This post explains the creation of My Other Blog. I never meant to have two, but there’s also 564 posts and another 330,000+ views over there. Here’s to another year. Long live the blog.